Gionee X1 comes with Android 7.0 Nougat Operating System with their custom UI Amigo 4.0 and it is powered by MediaTek 6737 chipset processor with the clock speed of 1.3 GHz Quad core with Mali T720 MP1 GPU. To give you the lag free experience the device is equipped with 2 GB of RAM and 16 GB of internal memory which is further expendable upto 256 GB via micro SD card slot. Gionee X1 has the 5 inch HD IPS Display with the screen resolution of 1280*720 pixels with pixel density of 294 ppi. Coming onto the camera, X1 sports 8 megapixels rear camera with Dual LED flash and 8 megapixels front facing camera with f/2.2 aperture with front flash also. Also there lot more camera features like Face beauty, HDR, Night mode, Professional, Time-lapse, Slow motion, Smart scene, Text recognition, GIF, PicNote, Smart scan, Mood photo, card scanner, Translation, Panorama. Gionee X1 sports a 3000 mAh battery which comes with a Li-Polymer. 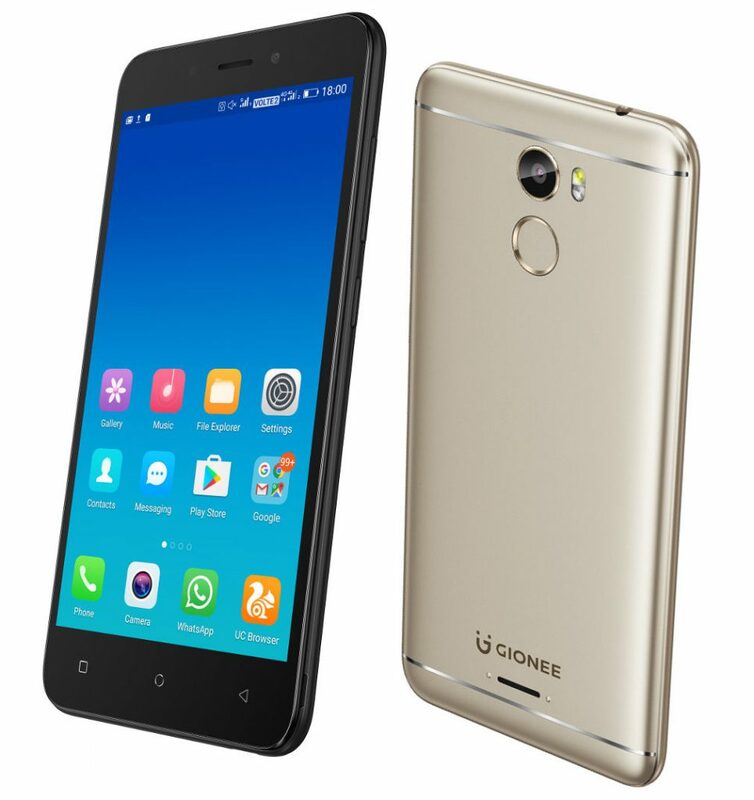 Amigo 4.0 based on Android 7.0 present in Gionee X1 has a number of Power saving technologies & lower battery consumption. There are more connectivity options like Wi-Fi 802.11 b/g/n, Bluetooth 4.2, GPS with A-GPS support, FM Radio, 3.5 mm Audio jack, IR remote etc. Gionee X1 has rear fingerprint scanner which also can be used to snap beautiful selfie. Gionee X1 comes with also extra accessories in the box and been priced @Rs.8999/- in India. Available color options are Gold and black.